If no assignments in a course have been graded yet, there will be a blank space for the grade. If one or more assignments have been graded, you'll see your current, in-progress grade. Obviously, this grade is subject to change! When a course has been finalized, you'll see a lock next to it. The grade next to such courses is your final course grade—this is what goes on your transcript. If you've withdrawn from a course after the add/drop date, you'll see W (or your school's equivalent). If you're incomplete in a course, you'll see I. Naturally, this isn't the only place to see your overall course grade. You can also see it on the course dashboard: look for the stats at the top of the right column of the screen. My Courses shows you the same information for each course displayed on the Dashboard. 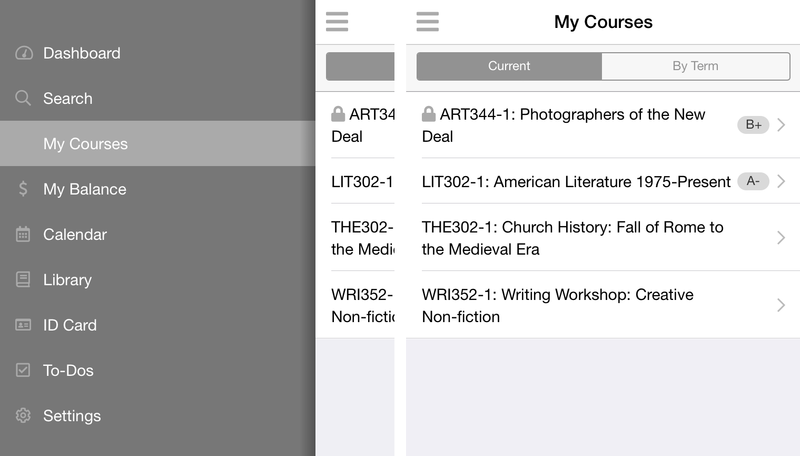 Populi's mobile apps also show you your course grade. Tap and select My Courses. You can also receive notifications from the app when your grades change—you can configure those in the app's Settings view. In the course Assignments view, you'll see your letter and percent grades in the assignment list. 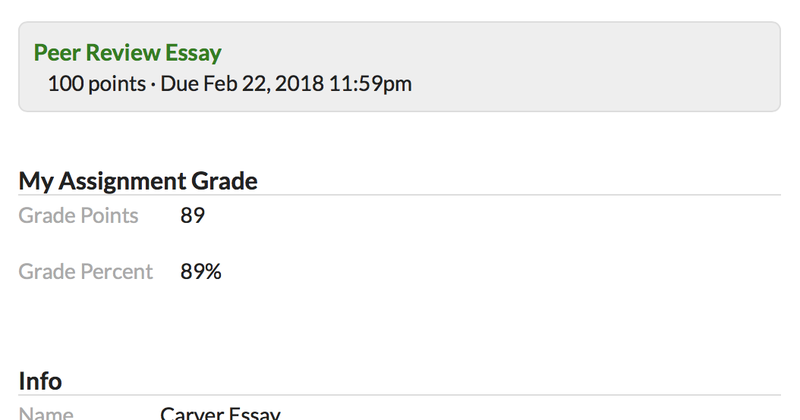 On individual assignment pages, you'll see your grade in the right column under My Assignment Grade. To view things like your GPA, earned credits/hours, and so on, have a look at your transcript. Your grade report shows these items for a particular term. You can export an unofficial transcript, request an official transcript, or export your grade report from My Profile > Student.